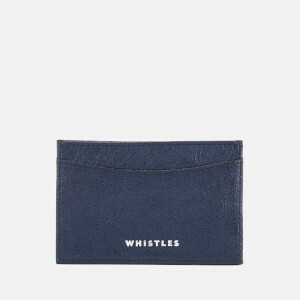 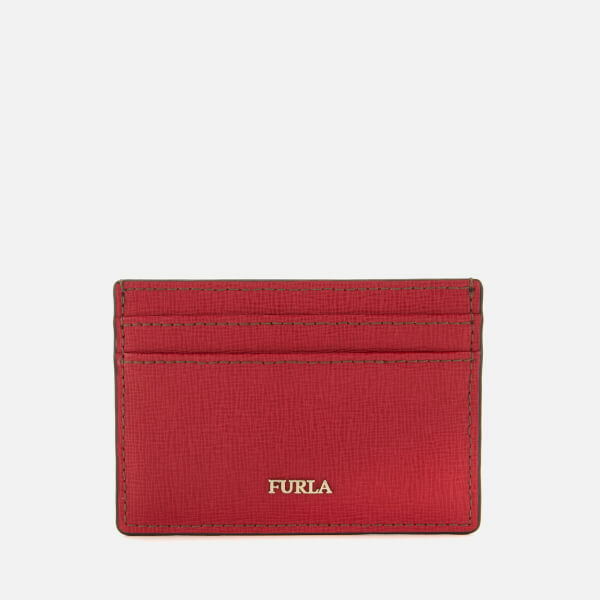 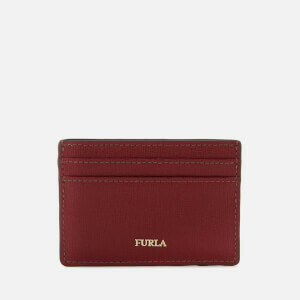 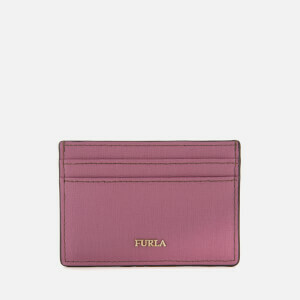 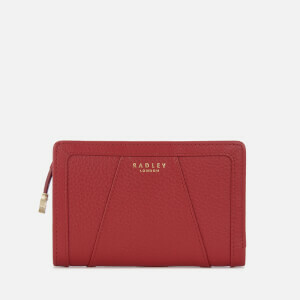 Red ‘Babylon’ credit card case from Furla. Presented in luxurious textured leather, the bright red wallet features a lined central compartment for bills and two card slots at the front and back. 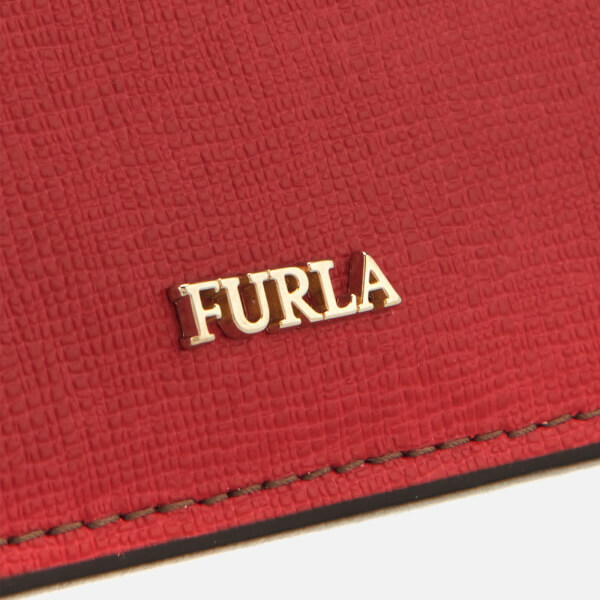 Gold-tone metallic branding to the front completes the design.